It's not often you get to use lidar and Dame Judi Dench in the same sentence. 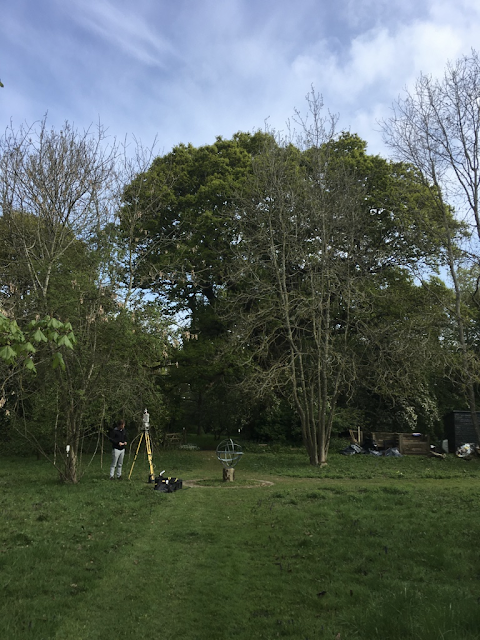 But we've been lucky enough to work on a new documentary presented by Dame Judi, to be shown 20th Dec BBC 1 8pm, and featuring some of our lidar work. 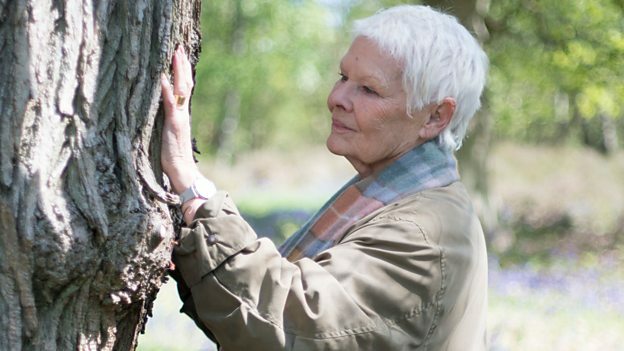 The program follows Dame Judi on a journey to some iconic English trees and woodlands, to find more about their history and biology, what goes under the ground, under the bark and up in the canopy. It's a very beautiful film with some very interesting science: the sounds of transpiration, canopy response to predation, and the fungal communities that seem to facilitate communication of resources and even 'information' in some senses, between trees. We visited Dame Judi's garden last summer and scanned a 200 year old oak tucked away in a wild corner. We then estimated the mass of the tree, and its leaf area/count - 25 tons and 260k if you're interested! We then generated a nice fly-through of the garden and around the tree, which then talked through with Dame Judi - she was suitably impressed by the detail. Interestingly, our estimate suggest the tree has 12 km of branches, more than any other tree we've come across, even in the tropics. Phil and I working Dame Judi's garden. The oak tree in question is in the background. Dame Judi looking at our VR lidar, watched by Anthony Geffen, CEO of Atlantic. Thanks to Alchemy VR. The screening was also a fascinating chance to meet some of the people who were involved in making the program, particularly Tony Kirkham head of Kew's arboretum. We'll be back at Kew in January scanning one of Tony's icon trees. Meanwhile, here's a 3D model of an example oak tree scanned by us.